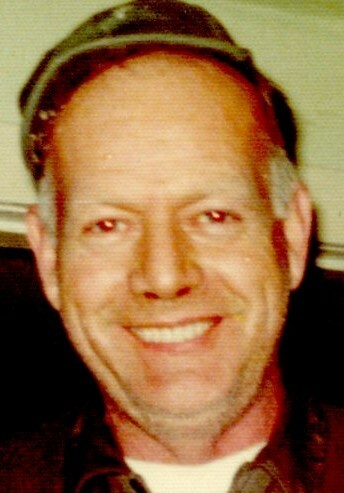 Kenneth W. Wenzel of Bourbon, Missouri was born to the union of Herman E. and Amanda J. (Elliston) Wenzel on August 2, 1926 in Leasburg, Missouri. He left from this on Friday, March 30, 2018 at Missouri Baptist Hospital in Sullivan, Missouri at the age of 91 years. Kenneth was united in marriage to Doris A. Danielson on July 9, 1945 in Rolla, Missouri and to this union five daughters were born Donna, Jane, Joyce, Ruth and Patty. Kenneth worked as a truck driver most of his life. He honorably served his country in the United States Army during WWII. In his spare time, he enjoyed reading, watching western movies, playing cards, gardening and being an avid St. Louis Cardinals fan. What he loved most in life was being a husband, father, grandfather, great-grandfather and great-great-grandfather. Kenneth is preceded in death by his parents Herman E. and Amanda J. (Elliston) Wenzel; wife Doris A. Wenzel; one brother Ernest Wenzel; two sisters Katherine Wood and Margaret White. Those who are left to treasure his memory and to continue his legacy are his five daughters Donna and husband Al Summers of Anutt, Missouri, Jane Valley of Leasburg, Missouri, Joyce Wenzel of Bourbon, Missouri, Ruth and husband Royce Missey of Leasburg, Missouri, Patty and Robert Mesger of Sullivan, Missouri; ten grandchildren Jamie and wife Debbie Elliott, Sheila and husband Jimmy Henson, Brett and wife Theresa Summers, Damon and wife Kelly Summers, George and Jerry Valley, Becky, Ed and Tim Missey, Amanda and husband Doug Counts; one sister-in-law Thelma Wenzel of Bourbon, Missouri; friend George Valley; eleven great-grandchildren, three great-great-grandchildren, nieces, nephews, great-nieces, great-nephews and many friends. Visitation will be held on Wednesday, April 4, 2018 9:00 a.m. – 11:00 a.m. at Mizell Funeral Home 904 W. Washington St. Cuba, Missouri. Funeral service will be held on Wednesday, April 4, 2018 11:00 a.m. at Mizell Funeral Home with Brother Lane Allen, officiating. Interment will follow at Lick Creek Cemetery with full military honors. The Mizell Funeral Home of Cuba is honored to be serving the Wenzel family.